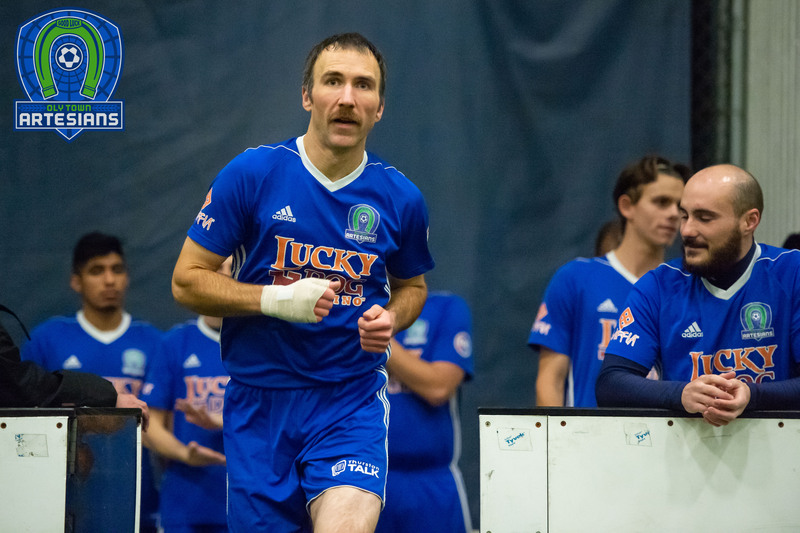 OLYMPIA, Wash. – The Oly Town Artesians open up the 2017-2018 Western Indoor Soccer League season when they play host to the Snohomish Skyhawks on Saturday night. First kick at The Pavilion at The Evergreen State College is set for 6:30 PM where a healthy mix of experienced players and newcomers look to build on their strong 2016-2017 campaign. 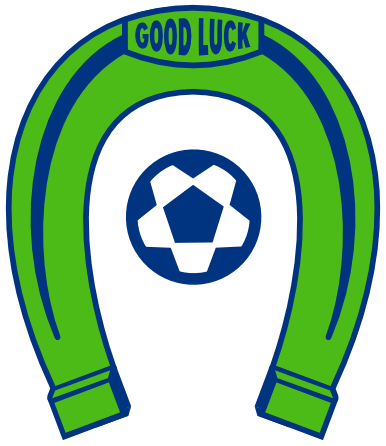 The Artesians wrapped up their best season in the WISL in third place with a record of 4-5-1 with 13 points, good enough for third place and an appearance in the WISL semifinals. Willie Spurr led the club with 14 goals and JJ Olson started every game at goalkeeper. Olson returns to the Artesians as the club’s leader in goalkeeper wins. The Saint Martin’s alum and Minnesota native has spent two seasons with the club, backing up Evan Munn in his first season and taking over the role of starter last season. 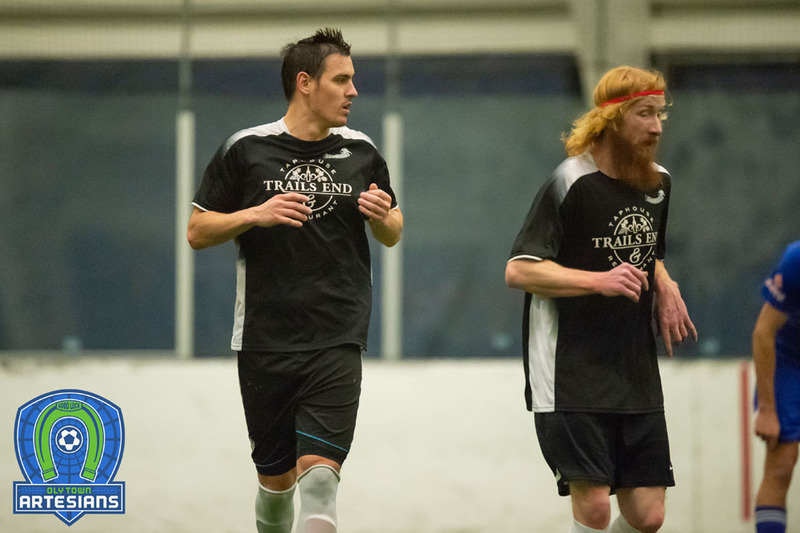 He will be pushed for time by newcomer Brad Hanson, who played well in his first season of indoor with the Artesians and allowed just one goal at the WISL Tournament in late October. Other returners include defenders Nate Boatright and Brett Stallworth. Both have become fixtures on the backline for the Artesians. Stallworth, a Tacoma native, has not missed an indoor game in two seasons and brings a professional work ethic and toughness to the position. JT Meyer returns to the frontline for Oly and Matt Stalnik returns to provide a good option in the post position. A host of newcomers, including Capital High School grads and former Evergreen players, Jake and Jordan Zimmerman, will attempt to replace the scoring of Willie Spurr. Spurr had a fantastic season for the Timbers U23s and is taking the indoor season off to focus on his professional outdoor career and hopes to sign with a USL club soon. 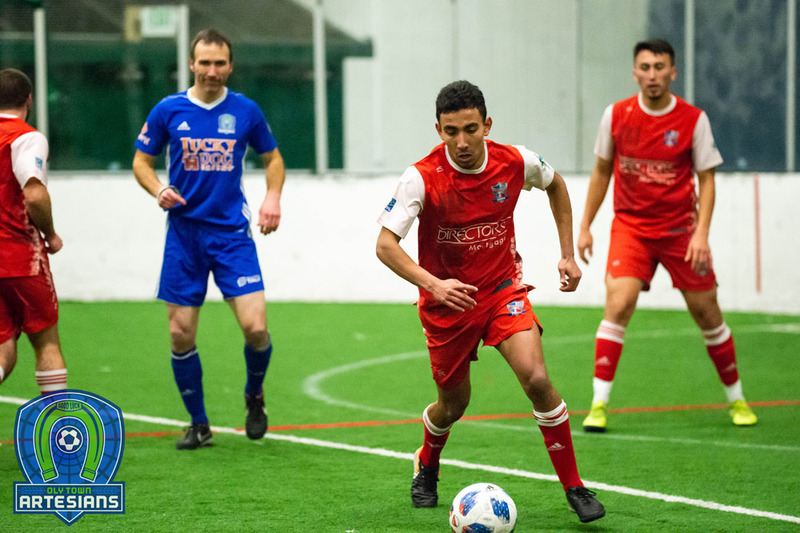 The Skyhawks enter Saturday’s game as the only indoor club remaining in Snohomish County after Sporting Everett FC folded in the offseason. This brings a handful of former Everett players into the fold and gives the Skyhawks more depth than they have had over their 11 seasons of indoor play across various leagues. Kick off at The Pavilion is set for 6:30 PM with gates opening at 5:45. Fans are encouraged to bring drums, noise makers and more. Tickets are just $8 for adults and $5 for kids 5-12. Kids under 5 are free. Chinqually Booters players in uniform are admitted for free with a paying adult and can accompany the team during introductions.